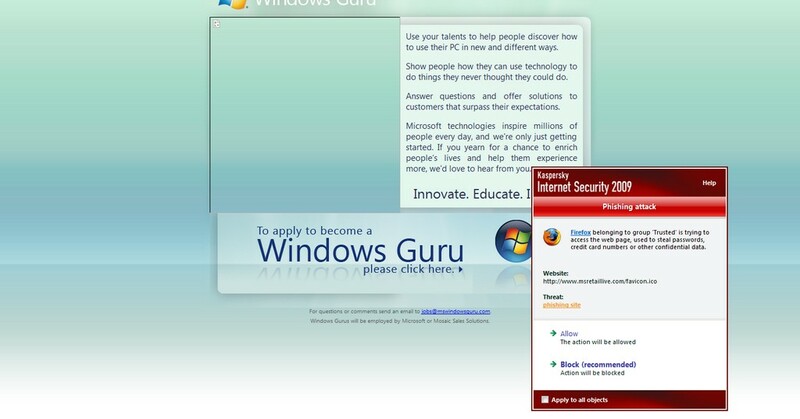 Your article called "Microsoft is looking for Windows Guru's" links to pages which are reported by Kaspersky Internet Security 2009 as Phishing attacks. Thanks for bringing this up. Could it be that Kaspersky is throwing up a false positive ? Just re-checked; even Technet Blogs , Arstechnica, etc are mentioning this link.